I was recruited to Return Path in January 2016 to be the head of brand and digital marketing. At the time, Return Path was looking to rebrand itself and rethink the overall digital experience. I enjoy big challenges, so Return Path presented a great opportunity for me. 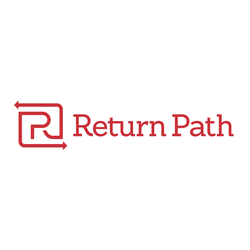 The rebranding and relaunch of Return Path’s digital presence were extremely successful, and I’ve since been promoted to run all of Return Path’s global marketing efforts. 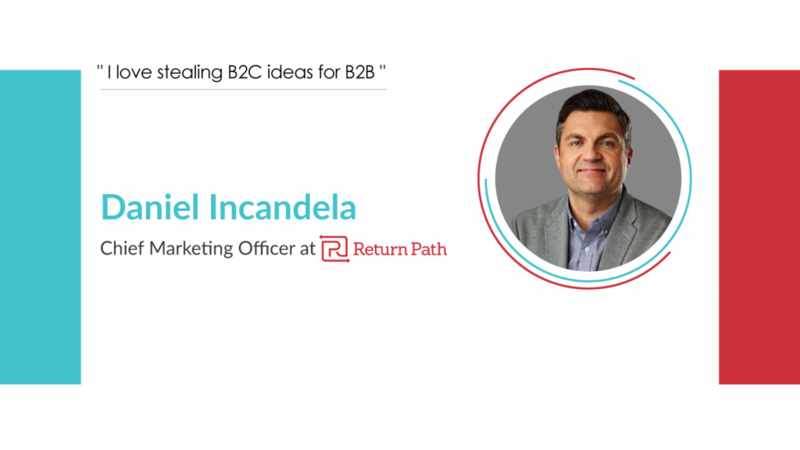 I now oversee a global marketing team that is responsible for Return Path’s brand, content, communications and PR, demand generation, digital, events, marketing operations, and sales development. I set a vision and goals, and do my best to enable everyone to do their job. My philosophy is to remove obstacles and get teams the budget they need. Prior to joining Return Path, I held a very similar role in brand and digital marketing at Salesforce Marketing Cloud. Return Path and Salesforce enjoy a very healthy partnership, so it was a smooth transition in many ways. My overall career in the digital space has spanned about 15 years, in an eclectic mix of businesses. I ran digital marketing at the Indianapolis Museum of Arts, the Indianapolis Motor Speedway, and the IndyCar Series. The basis for any marketing has to begin with an authentic, meaningful message. I don’t want to lose sight of that because I think a lot of companies take it for granted. Having said that, data should be the driving force behind any type of messaging, campaign, or strategy. We have more data than ever, and it will only increase. Marketing leaders need to build out a digital strategy that will cut through the noise and provide instant, actionable insights. The roles of CMOs and CDOs will continue to blur. I still think there is a lot of work to be done with genuine storytelling and using data to access the right audience. 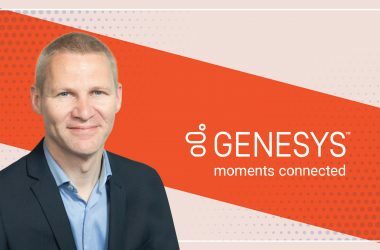 AI or ABM may point to new leads or a customer base, but it’s on us marketers to deliver a meaningful experience that builds a connection. That’s still easier said than done. Marketing technology should be a holistic ecosystem. I’ve seen a lot of cases where individual tools have been selected, which at the time, may make sense. But when you take a step back to see the bigger picture, you may realize you’ve built a disparate ecosystem, with conflicting digital philosophies. It starts with the website, and other digital marketing tools should be spokes coming from that hub. Moreover, selecting tools based on each team’s unique marketing talent allows them to take these tools to the next level. I love what is happening in the Midwest at the moment. I’m based in Indianapolis, so I look at what Indy-based venture studio High Alpha is doing on a daily basis. In Cincinnati, I serve as a mentor with The Brandery, where I get the chance to talk with new founders and offer advice. And finally, I love what’s happening in Detroit, so I typically study whatever Detroit Venture Partners is doing. I love talking with startups, because in many cases, they are looking to redefine business models. That’s inspiring. -And of course, full use of our own Return Path tools—our email program would be lost without them. I’m very proud of the Return Path marketing team because we make strategy decisions based on data and constantly test our initiatives. We’ve done a number of great campaigns around advertising, PPC and branding, but we’re especially proud of our email re-engagement campaign. The campaign was wildly successful, with high engagement and open rates as high as 40%. We were able to significantly clean up our list, see what content people consumed, and opt in our legacy list for fresher, more accurate send data. Our creative was featured in a couple of blogs and webinars, and got a lot of love on social media. As a company focused on improving email performance, this makes me especially proud. Outside of that, we are constantly striving to improve year-over-year and quarter-over-quarter increases in key marketing metrics like lead, opportunities, pipeline, and marketing sourced new business. Every quarter is a new battle. Let me ask my robot. All kidding aside, I don’t really know. Marketing changes constantly, so I try to focus on keeping an open mind and being highly adaptable. 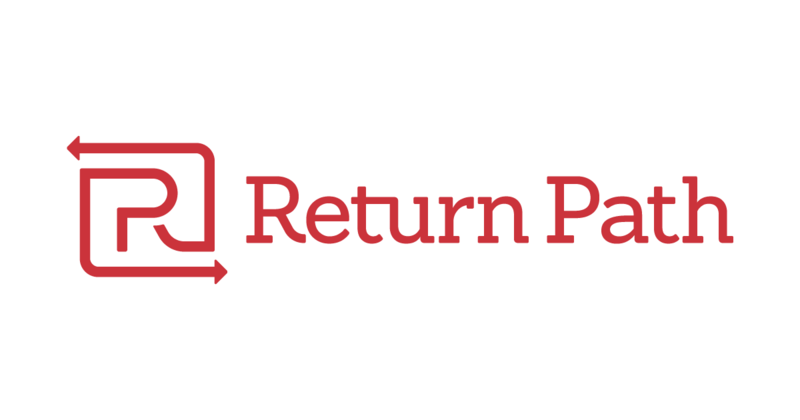 Our internal and external messaging at Return Path is simple: We know email. So I definitely can’t live without email. Day-to-day, I’m typically in Dropbox, Salesforce, and a bunch of Google Apps. I’m on my laptop and phone throughout the day. In terms of personal Apps, I check Instagram, Twitter, Washington Post, and The Guardian each day. And I use Wunderlist for organizing all the stuff I need to do. I love that app. First, I like to start my day at 6 am by responding to emails and getting the day organized. This allows me to be more effective at work. Second, I am selective when it comes to the meetings I attend. It’s often more important that I work and keep things moving, especially since many meetings tend to have redundant attendees. Overall, I try to be in the best position each day to help my team—remove obstacles, get approvals, find budget, etc. I am currently reading Old Man and The Sea by Hemingway. And JPod by Douglas Coupland. On a day-to-day basis, I look at TechCrunch, MarTech, CMO.com, and other tech related sites. I also check in with a lot of companies that innovate with their brand, like Red Bull, Mercedes Benz, Manchester United, and more. I love stealing B2C ideas for B2B. I look up to companies that understand the value of their brand and what it can do for their customers, prospects, fans, advocates and so on. I’ve tried not to look back since. I try to remove my ego from everything I do professionally. I still have lots of work to do, but I strongly believe this is one the most important attributes of great leadership. It’s not about you, it’s about something much bigger. I want to make the best possible decisions for my team and the business, not for me. I would love to hear from the head of marketing for Red Bull, Manchester United, or Mercedes Benz. Previously, he served as Senior Director of Brand and Global Digital Marketing at the Salesforce Marketing Cloud, where he drove creative & digital marketing strategy for the company across 5 continents, overseeing corporate marketing, event branding & experience, and all creative. 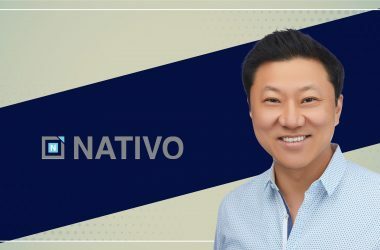 His 50 person team was comprised of brand, content, creative, digital, development, email, mobile, social media, video production and all web, leading the marketing efforts for the Marketing Cloud. Daniel formerly worked as Director of Online Strategies at the Indianapolis Motor Speedway & IndyCar Series, leading strategy for online marketing, social media, content creation, and online community development. 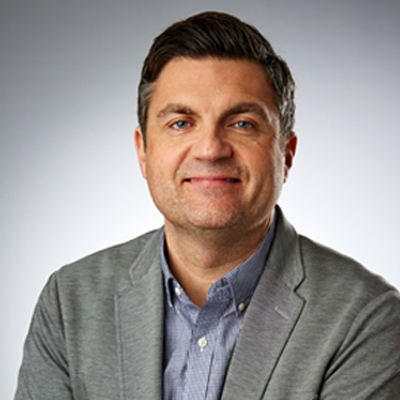 Prior to that, Daniel spent five years as Director of New Media at the Indianapolis Museum of Art where he established the new media team, renowned for museum technology innovation, brand development, & digital content. Among his accomplishments, Daniel counts the launch of ArtBabble.org, a forum to showcase high-quality video art content. He was honored to be the keynote speaker at the National Digital Forum in New Zealand, included in the Indianapolis Business Journal’s Forty under 40, and named a British American Project Fellow. He also contributed a chapter to The Digital Innovation Playbook: Creating a Transformative Customer Experience. Through the Return Path Data Exchange, we’ve brought together the world’s most comprehensive source of data from the email ecosystem. We partner with more than 70 providers of mailbox and security solutions, covering 2.5 billion inboxes—approximately 70 percent of the worldwide total. Also feeding into this data platform is our consumer network of more than 2 million consumers and purchase receipts from 5,000 retailers around the world, delivering unparalleled insight into purchase behavior, brand affinity, and consumer preferences. Return Path was founded in 1999. Headquartered in New York, we have offices in Denver, Sunnyvale, Austin, Indianapolis, Toronto, London, Paris, Hamburg, Sydney, and Sao Paulo.